Where are my privilege banking services at @ICICIBank? Today had an opportunity to visit ICICI Bank )Hosur Road Branch, Bommanahalli) to deposit some amount because an upcoming standing instruction debit was there. There were a few observations in the branch. There were two two normal teller counters both were progressing at snail speed and none for Privilege Banking customers. Furthermore one of the teller counter was showing a sort of favoritism for a few customers and for us he was turning back to write challans back and forth. Not sure if there was a pocket picker in the bank having an unholy nexus with this teller and he was expecting us to be conned by the pocket pickers. Since i wanted to check the account number with my mobile number he again turned me back and wanted to come in the slow queue. And even when the challan was serviced, he was asking hundreds of unnecessary superfluous questions which were not required and might compromised the security of the customer in the queue. His identification card was tucked-turned off and hence he was attempting to conceal his identity from being reported. Also the parking outside the branch is scary. Multiple lines of vehicles parked here and there. 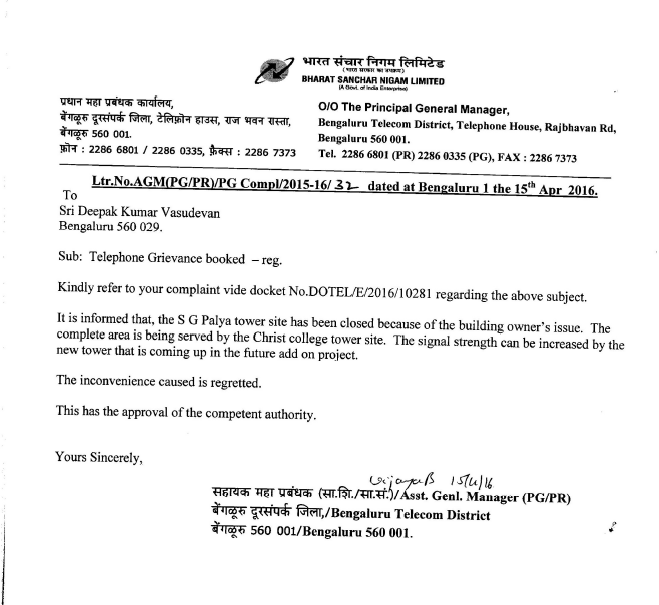 I have been reporting of weaker to no coverage near Sadduguntupalaya since the first week of February through various channels like CpGrams, MIS and appellate team. Other than getting response calls everyday from different BSNL folks nothing was turning out regarding improving network coverage. Finally today they had responded with the following comment for CpGrams (DOTEL/E/2016/10281) as below. Recently I reported a telemarketing issue from Standard Chartered India via CpGrams DEABD/E/2016/00069 which is as below. The issue was reported on 3rd January 2016. And the response was on 3rd March 2016 which is asking to wait for 30 days till then the wireless molesting by their executives will continue unabated. 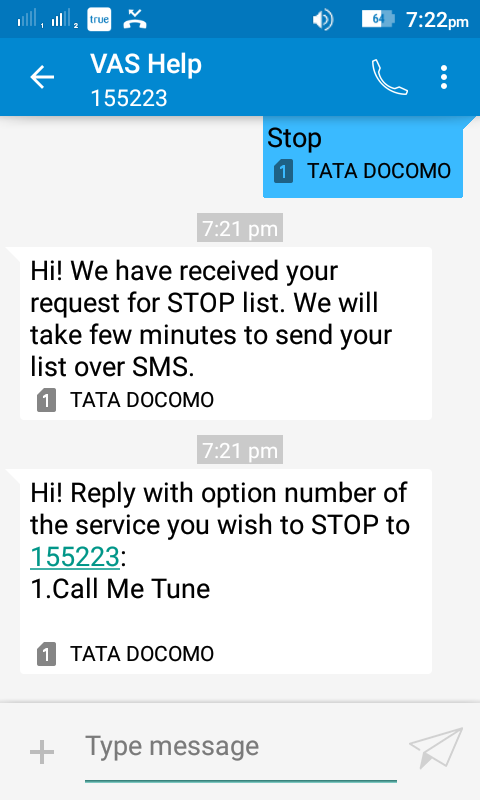 TRAI says within 7 days the calling lists need to be scrubbed after customer registers in global DND. Voice of customer: Complainant have raised concerns with regard to the marketing calls received by him. Resolution: Based on his concerns, we have updated his number in our “Do Not Disturb” list. It will take upto 30 days to get your number removed completely from our calling lists. I have been requesting and submitting update requests to refrain any communication on my old mobile number. The bank executives and call centers just shake their heads like dumbasses but none of them are listening and/or updating. 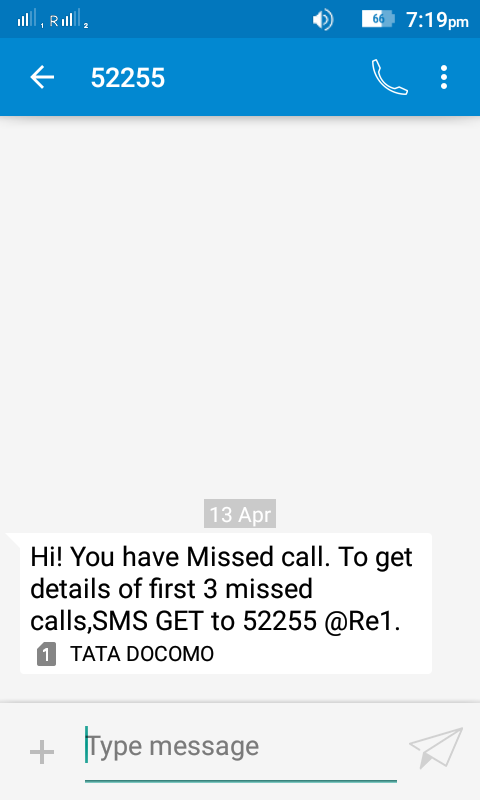 The guys are so busy marketing personal loans and gathering customers for dumb investments like mutual funds but they do not have time to update customer details. I think more calls to the old mobile number should now be taken to consumer court and reported as Do Not Call violations. 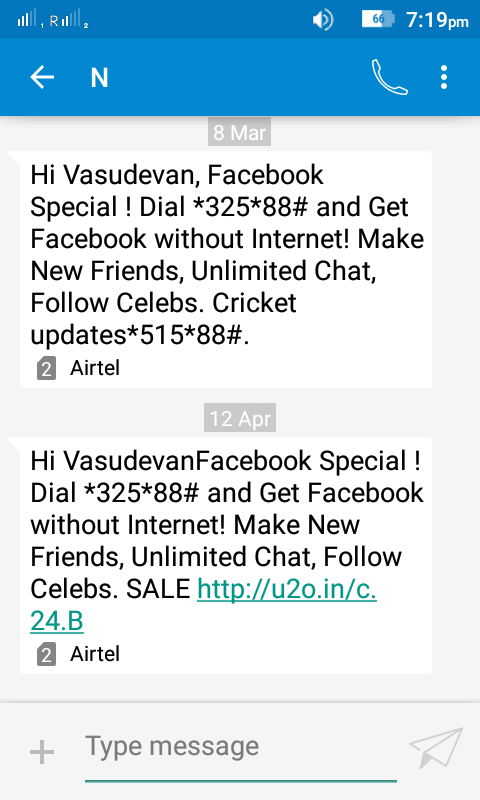 Despite stiff reprimands from TRAI that differential treatment to different services are not allowed in India, Bharti Airtel is continuing with the unfair business practice of giving preferential treatment to certain services like Facebook as indicated in the text message below. The subscriber gets the missed numbers via VAS premium service. 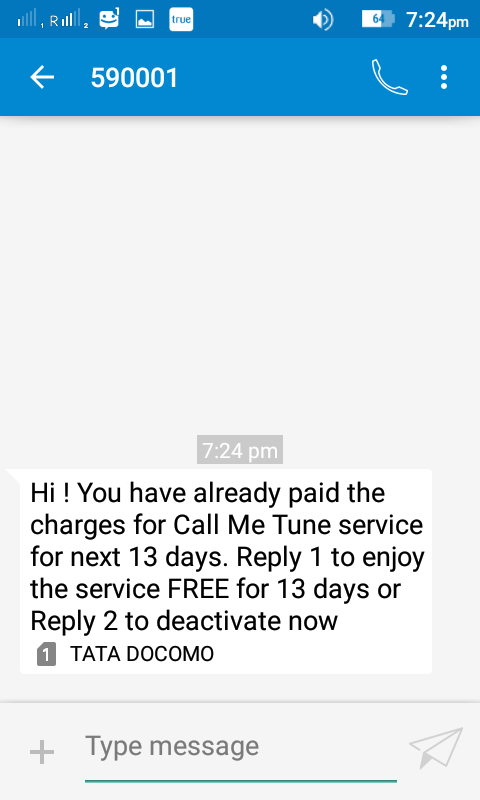 Today Tata Docomo has charged me for 13 days and has activated ‘Call Me Tune’ service without my consent. 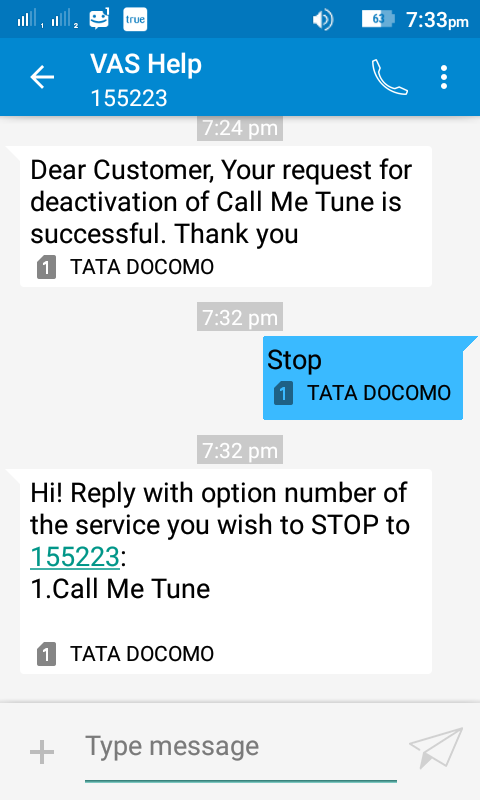 I never like these caller tune services.Way back I have reviewed this on my personal blog that such caller tunes are indeed a bane not a boon. (as it is against the traditional Tring Tring which is the international standard). Also the 155223 STOP service is not working. Even if I stay STOP and send a 1 confirmation (after choosing the service to stop) the next listing shows the service active despite a confirmation message that service has been deactivated successfully.